Slovenian catholic Girl Guides and Boy Scouts Association is an independent, voluntary, youth, educational and open Slovenian scout and guide association which was established in 1990 taking into account pre-Second World War Slovenian scouting and was built up on experience and values from other scout and guide associations. We are especially thankful for the help offered by AGESCI (Associazione Guide e Scout Cattolici Italiani) who helped us at establishing the concept of our activity (structure, education, programme). We operate for 25 years now and we are one of the most active non-governmental youth organizations in Slovenia. We have about 4400 members, aged 6-30 years (of which 800 volunteers - youth workers or leaders). Our headquarters is in capital city Ljubljana, and there are 71 local units spread across all country. 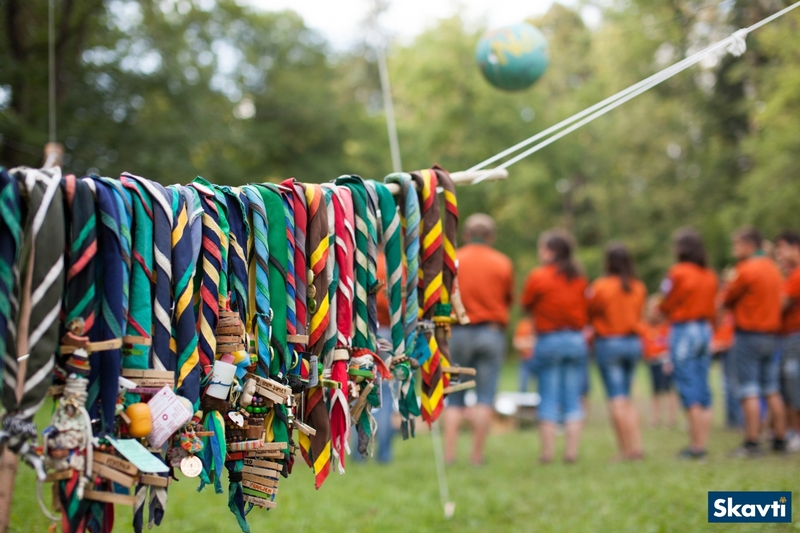 ZSKSS is a member of WAGGGS (World Association of Girl Guides and Girl Scouts). The primary purpose of the Association is to contribute to the full physical, mental, spiritual and social development of young people so that they can become people of strong character, responsible citizens and members of local, national and international communities. We have the status of an association of public interest in the field of education and the status of a national youth organization. Cooperation with other organizations and relevant government departments and institutions. In addition to volunteers, the organization has five full-time employees, a secretary and four professional workers. Our offices in Ljubljana are in a long-term lease and we have another long-term lease at the Slovenia Forest Service for a house in Kočevski rog. There we have the Environmental Scout Centre. The advantage of our organization is definitely a strong network in local communities and thus a large range of target groups, and at the same time a great support apparatus of volunteers across Slovenia.